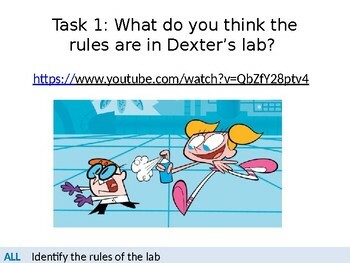 In this PowerPoint you will find a range of activities. 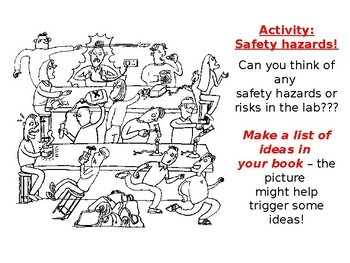 There is an engaging class based activity that allows students to spot hazards within a cartoon. 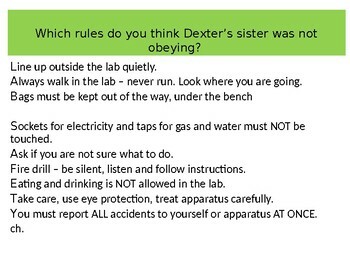 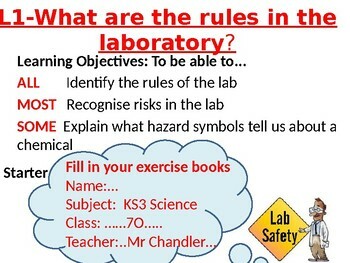 Secondly there is a hazard symbol activity following by an outstanding 'Who Wants to be a Millionaire' quiz regarding hazard symbols and lab safety.